Robert Walters Group is one of our Corporate Partners. 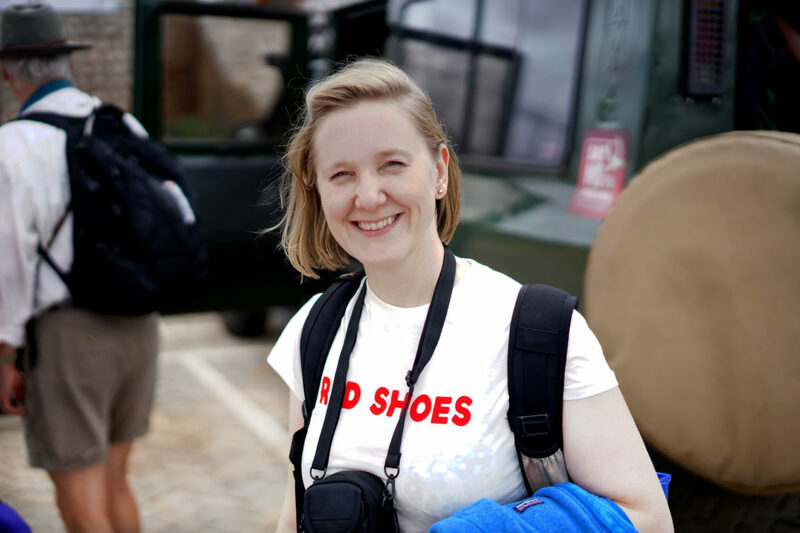 Caroline Watkin, Group Communications Director from Robert Walters, tells us about the experience of visiting Tsavo and the benefits of partnering with us. “I first went to the Itinyi Valley, Tsavo in June 2016, acting as a ‘path finder’ to find out more about Global Angels work on behalf of my company, Robert Walters, a global recruitment consultancy. Giles Daubeney, our Deputy CEO was keen to find a corporate charity partner for the Group to complement the work each business is doing with local charities. 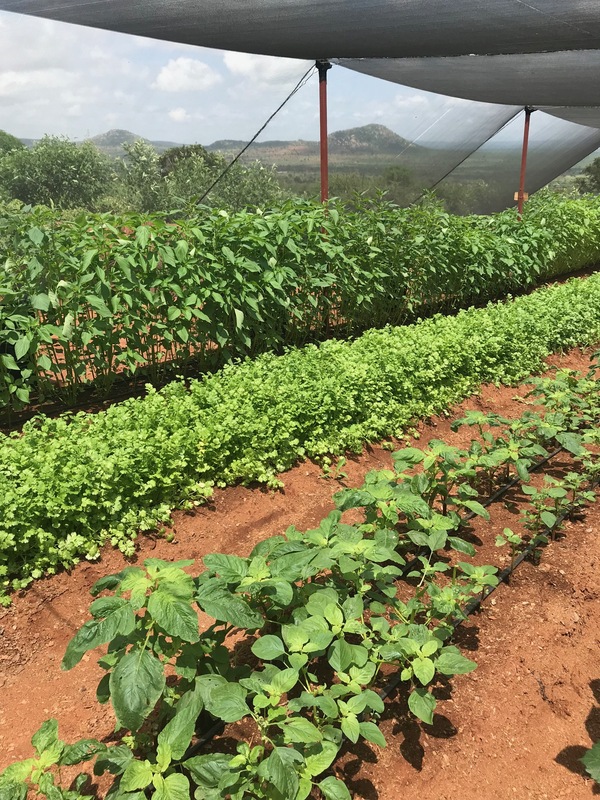 My experience in Tsavo was life-changing and I could see there was an amazing opportunity for our business to make a real difference to the community in the Itinyi Valley over the long-term. We were also attracted by the fact that we could choose to support projects that aligned with our purpose as a business. I recommended that we support Global Angels and suggested some projects where I’d seen a real need. Marungu Secondary school needed a new classroom – we saw the one class standing outside in the heat trying to learn and now they’ll be able to focus properly – particularly those approaching exam time. It’s always hard to know whether you’ll be able to make a real difference when you partner with a charity work but when I returned in June 2017 so much had changed. For example, last year I helped the women’s community group do research into egg incubators so they could set up chicken businesses. We found the best incubators, sourced a supplier and just as we were leaving the incubator arrived from Mombasa. A year on and the women have paid off their loans and now there are hundreds of chickens at varying stages of growth! I can’t tell you how exciting it was to be a very small part of that. The women have eggs and meat for their families and can sell the rest. Their entrepreneurial spirit was inspiring and made me feel I could achieve anything. 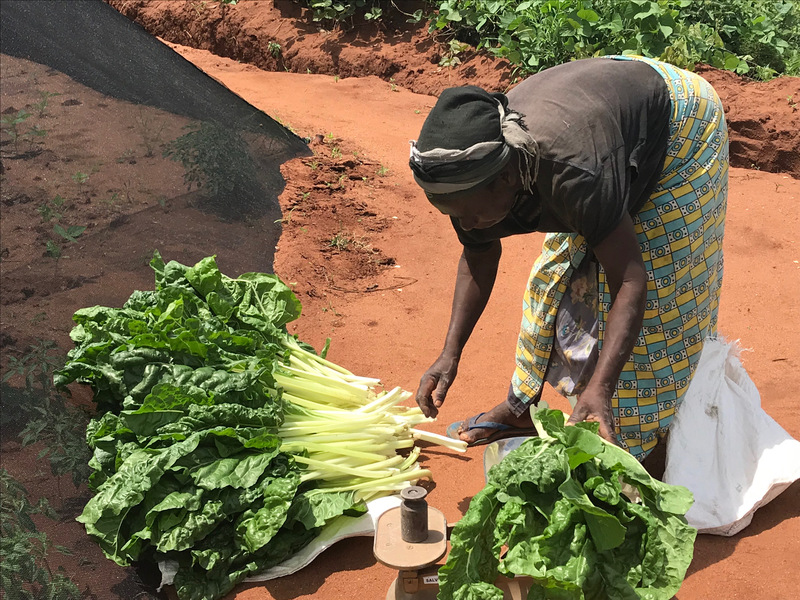 Last year the maize harvest had failed due to the drought (maize needs a lot of water to grow) so we went to visit some sustainable shade netting houses – they are like ‘reverse green houses’ if you like and it’s is all about growing crops with a reduced water need. This year the women took their learning and built a very small shade house. They all had their own small tubs of crops growing too. But they wanted to start a bigger project and Molly asked for our help to build two large shade houses. We thought it would be a great project to sponsor and Robert Walters donated the money. When I returned in November 2017 so much work had been done, I just couldn’t believe the scale of it! 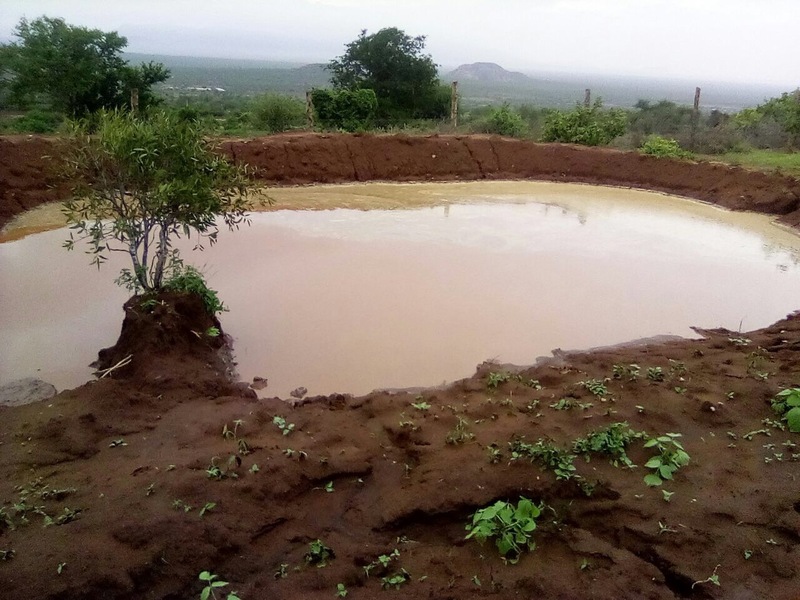 The land had been terraced to gather as much rain water as possible, the fencing built to deter elephants and the structure of the houses built. 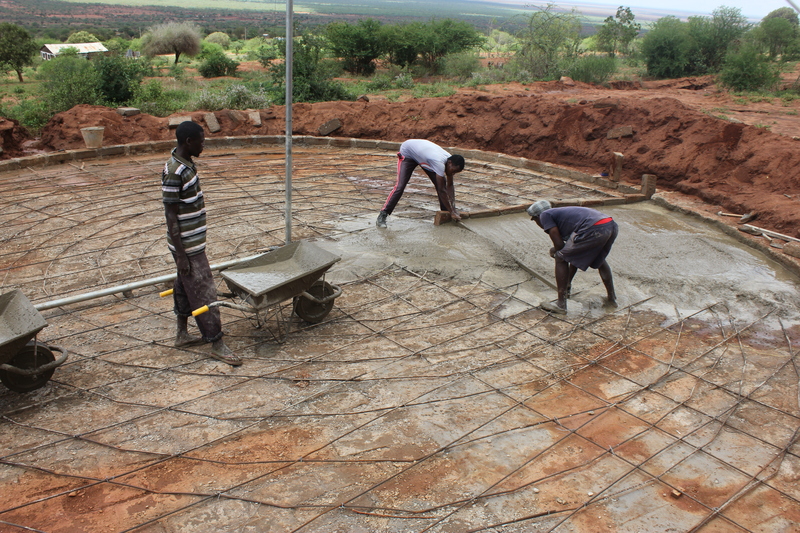 When we arrived we were ready to sew the nets for the shade houses. 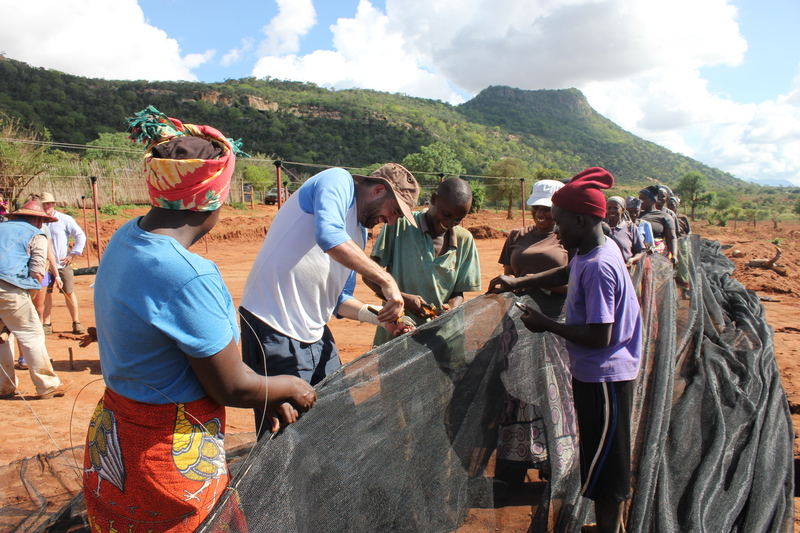 We bring eight staff a year to Tsavo, as a staff incentive and as part of our CSR strategy and the group worked with the Tumaini Women’s Community Group to make the nets. It was a special experience working alongside the women and we all learned from each other. When we raised the nets over the framework for the houses it was a magical moment and one of the women ran to get a drum and we had a completely spontaneous sing and dance to celebrate. There was much hugging and we all felt we’d made a connection with the community. The shade houses will help save lives, make the community independent and give kids a better chance at school if they’re not so hungry. The eventual plan is to export crops like Moringa to create sustainable jobs and a local economy. If you’d like to find out more about becoming a Corporate Angel, call Molly today on x or email x. Corporate Angels allow us to keep our promise that 100% of public donations go to projects on the ground.